GREENE — Mary Yvonne Estok LeJeune, 77, of Greene, was called home to be with the Lord on Sunday, Sept. 2, 2018. She is at rest and rejoins her parents and her beloved daughter, Julianna Corder. Mary, known as “Vonnie” to her friends and “Baba” to her family, was born Feb. 20, 1941, in Beaverdale, Pa., to the late Michael and Mary Homolish Estok. 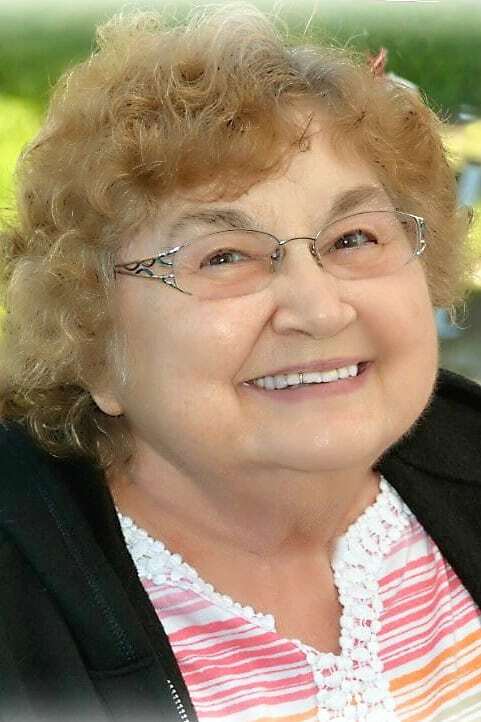 She was a registered nurse who worked at St. Joseph Warren Hospital and Geauga Hospital in pediatrics, and then at the Village Square nursing home. She was a member of St. Mary Church in Orwell, where she sang in the church choir. Mary was known for writing beautiful poems that expressed her deep faith in the Lord and love for her family, her fabulous cooking and baking, singing to her loved ones and being on-call to diagnose medical issues for friends and family. She will be sadly missed by her loving husband of 56 years, William; her children, Teresa (Mike) Updike, Mary (John) Elwood, Susanne LeJeune, William (Kris) LeJeune Jr., Beth (Cory) Fein, Monica McMasters, Lori (Mike) Smith and Katherine Douglas; son-in-law, Larry Corder; 20 grandchildren; seven great-grandchildren; and her siblings, Helen Bowen, John Estok, Eugene Estok and Elaine Barton. Calling hours will be 5 to 8 p.m. Monday, Sept. 10, 2018, at Russell-Sly Family Funeral Home, 15670 West High St., Middlefield, Ohio 44062 and 9 to 10 a.m. Tuesday, Sept. 11, 2018, at St. Mary Church, 103 N. Maple St., Orwell, Ohio 44076. The Mass will be 10 a.m. and a graveside service will immediately follow in St. Mary Cemetery.